Wladimir Klitschko (left) and Tyson Fury during a press conference ahead of their world title fight last year. Tyson Fury has claimed a sheikh in Dubai offered to host his world heavyweight title rematch with Wladimir Klitschko aboard a yacht in a bout that could have been worth 120million US dollars (£82.35m). Fury is contractually obliged to face Klitschko again after ending the Ukrainian’s near 10-year reign as world champion last November and says “there are five possible venues” for later this year. 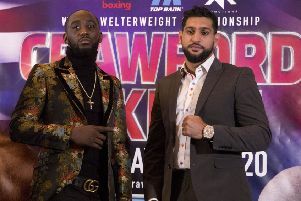 While Wembley and Croke Park in Dublin as well as locations in Germany, Abu Dhabi and Qatar have been discussed, the WBA and WBO champion revealed an extraordinary proposal by an unnamed sheikh to hold the fight on his yacht in a media blackout event. According to the mercurial 27-year-old, the showdown would only be available to 120 people, each paying one million US dollars. He said in the Daily Telegraph: “There are five possible venues. I’m hoping it’s not going to go back to Germany. I’d rather go to Abu Dhabi or Qatar than there. “We even had negotiations to have it on a cruise ship. There was a sheikh in Dubai who owned a yacht which would fit only 120 people on. “He didn’t want to broadcast the fight anywhere and he said he could sell 120 tickets at one million dollars each, so that would have been 120million dollars. “He wanted to have an exclusive heavyweight championship of the world fight with no TV station, with just those 120 people watching. However, Fury has cast doubt on the fight even going ahead and suggested he may walk away from the sport altogether. The Briton, who has threatened to retire in the past, told BBC Radio 5 live: “I’m struggling to get motivated. “I could walk away. I could just sail into the sunset unbeaten with all the belts and live a normal life.